Viewing this on a mobile device? Click the down arrow at the top of this page to view Shop and Basket. 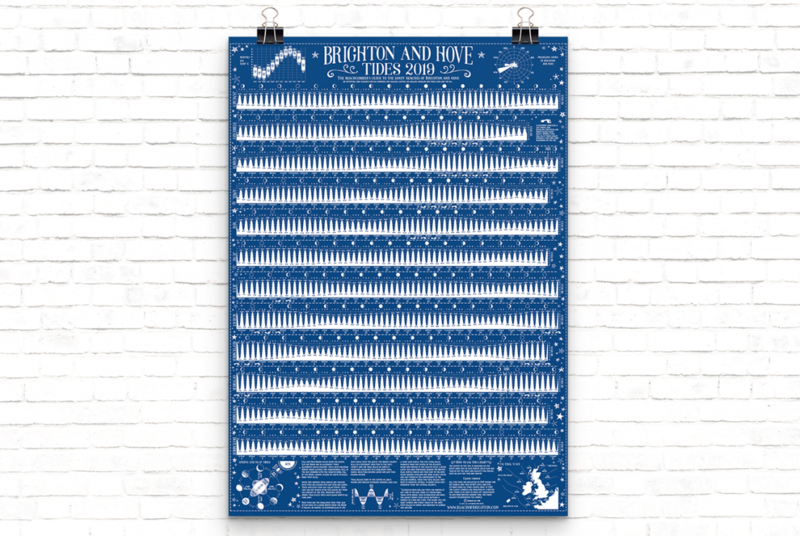 The beautiful Brighton and Hove 2019 tide table wall chart for a full year of high and low tide times and levels. An intertidal zone resource for sea swimmers, dog walkers, surfers, sea anglers, paddlers and those who love the sea. Perfect gift for beach-dwellers.